Mommy Maestra: Psst...There's a Big Sale Going On! 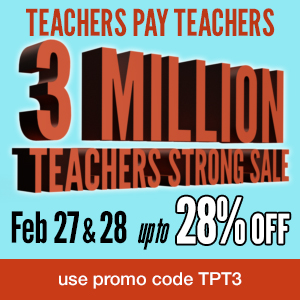 Don't miss the awesome sitewide sale going on today and tomorrow over at TeachersPayTeachers! You can find some great deals, including a discount on all of the products in my own store. It's a good time to stock up, no?